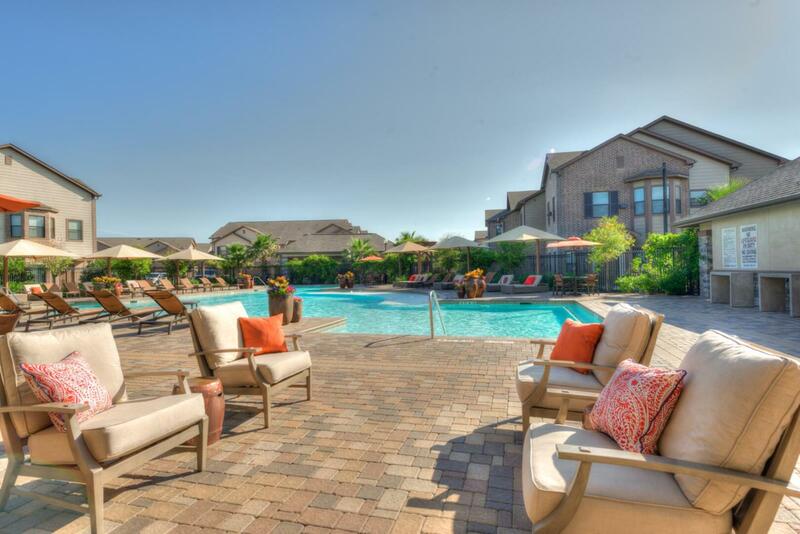 Sorrel Grand Parkway offers premium apartments in the Cinco Ranch neighborhood of Katy, TX. 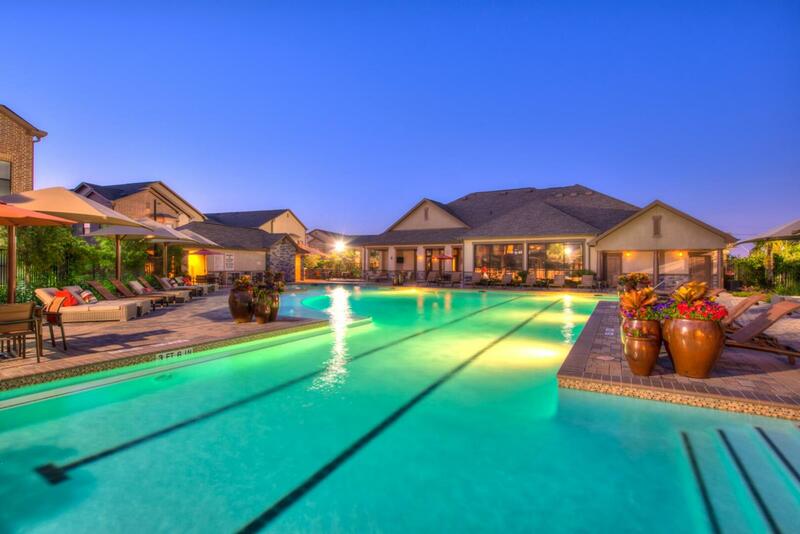 From direct-access garages to a saltwater pool area worthy of a resort, the community has covered it all. 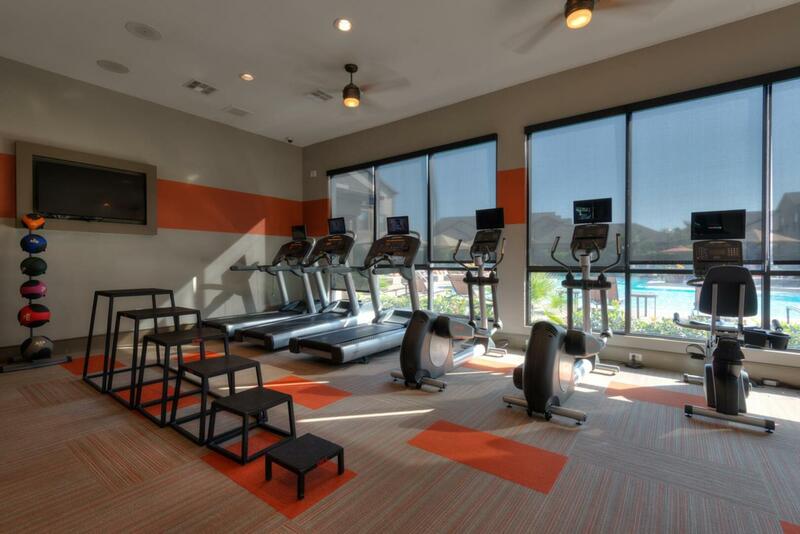 Peruse the photo gallery for a glimpse of what awaits you at Sorrel Grand Parkway. Café: The cyber business café includes bar seating and a selection of gourmet coffees and teas. 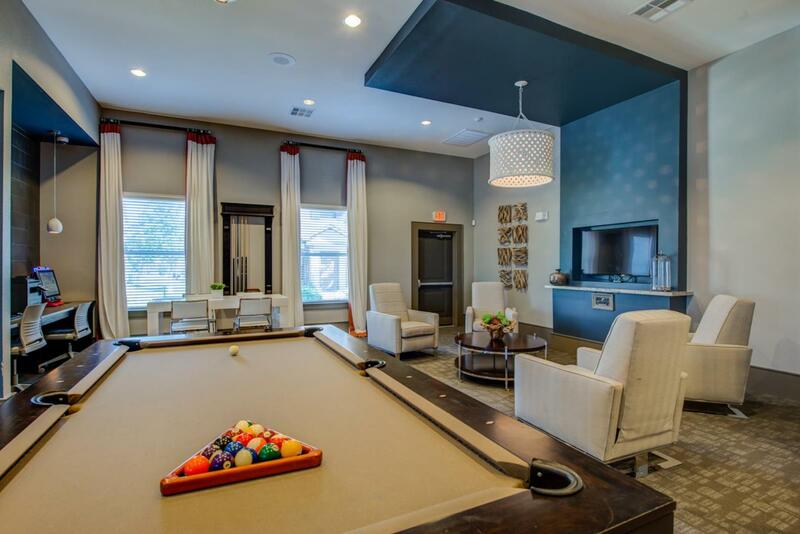 Lounge: The clubhouse contains a resident retreat lounge with a flat-screen TV and gaming console. 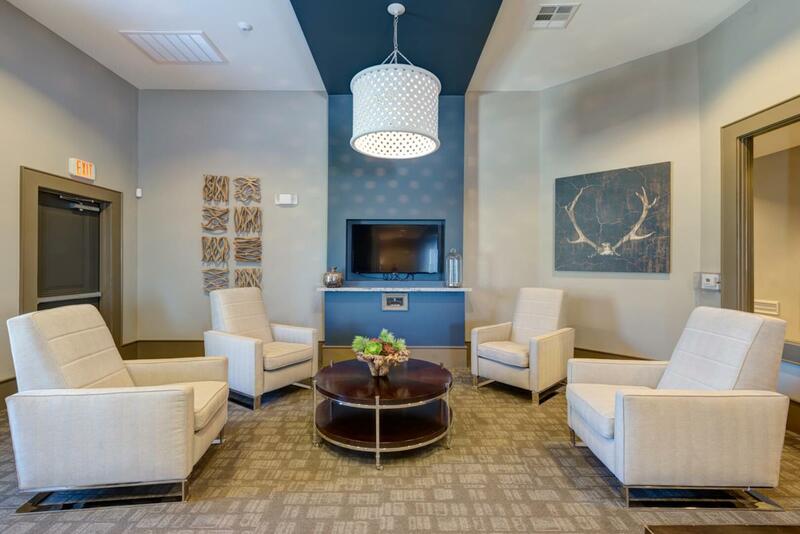 Business: Access the Internet or use the complimentary printer in the business center. 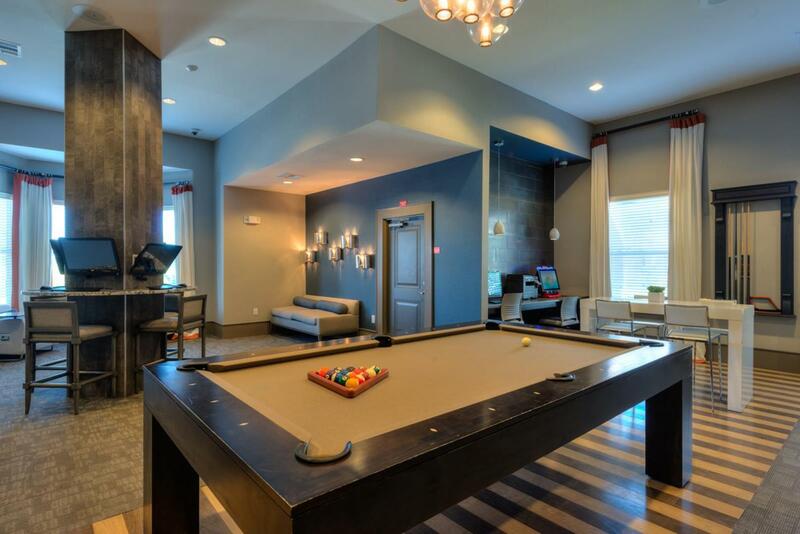 Clubhouse: The resident lounge in the clubhouse even offers a custom pool table. 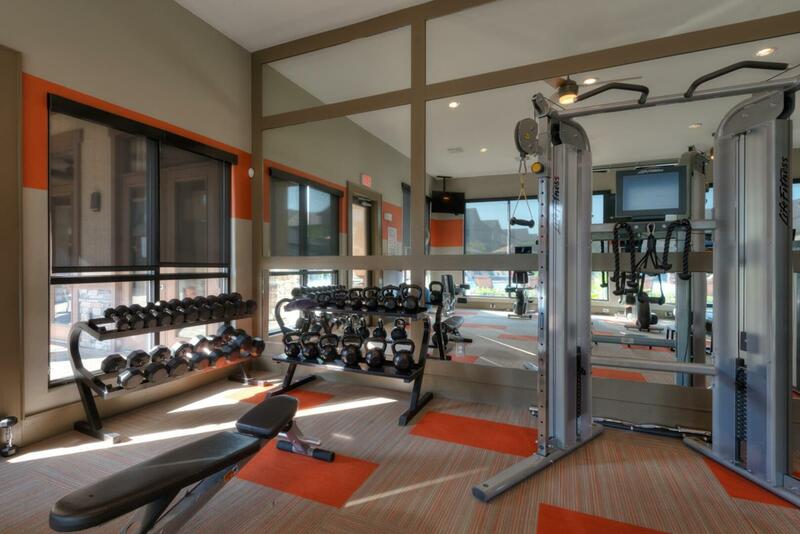 Gym: The professional fitness center boasts your favorite equipment, including machines and free weights. 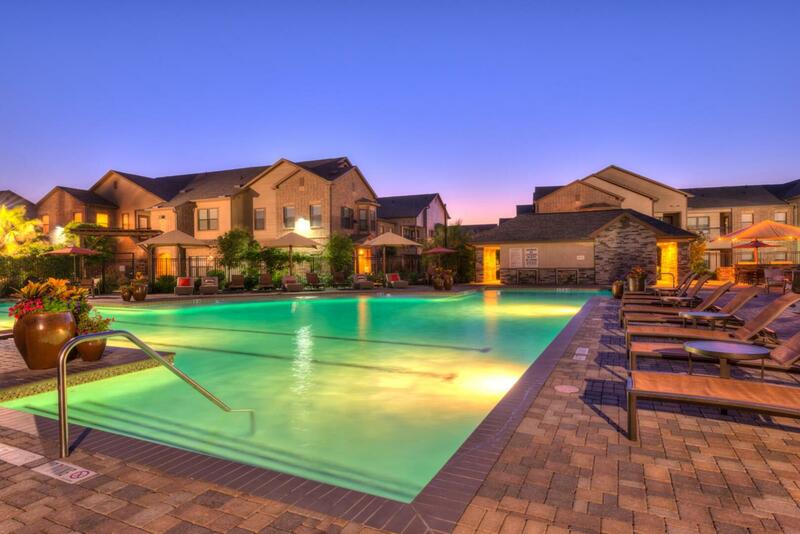 Pool: The huge community pool comes designed with a tanning shelf and a stylish paver sundeck with ample outdoor furniture and umbrellas. 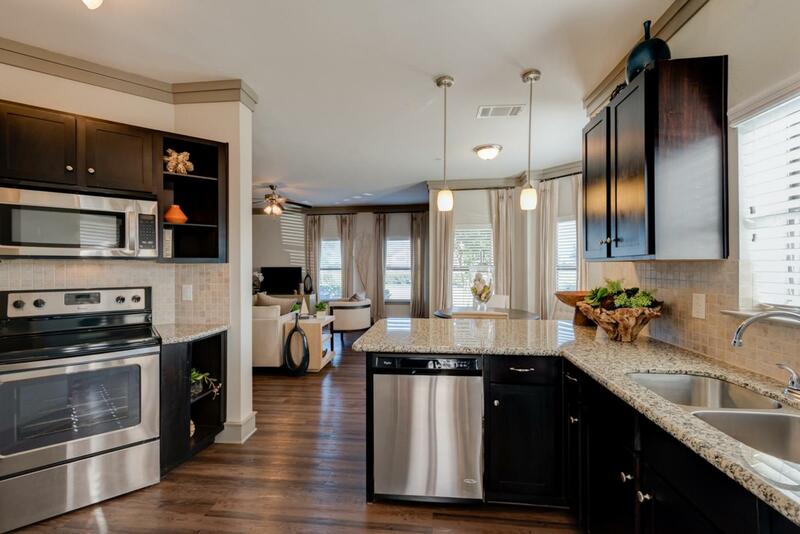 Exterior: Sorrel Grand Parkway offers quaint brick architecture and connected walking paths to help set the tone for this relaxing garden-style community. 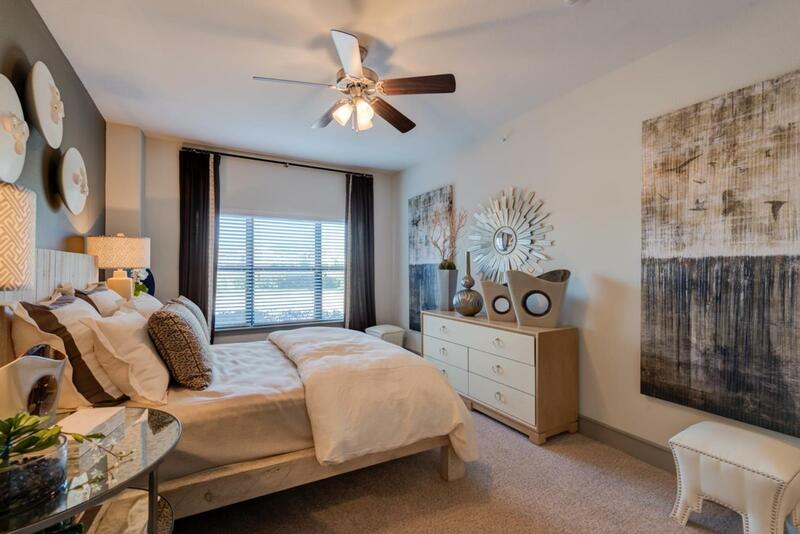 Bedroom: Feel right at home in the bedroom with plush carpeting, a ceiling fan and contemporary crown molding. Closet: Choose a floor plan with a walk-in closet and custom shelving system in the master bedroom. Bathroom: In addition to granite counters, your bathroom will incorporate either a standing glass shower or a full bathtub with a curved shower rod. 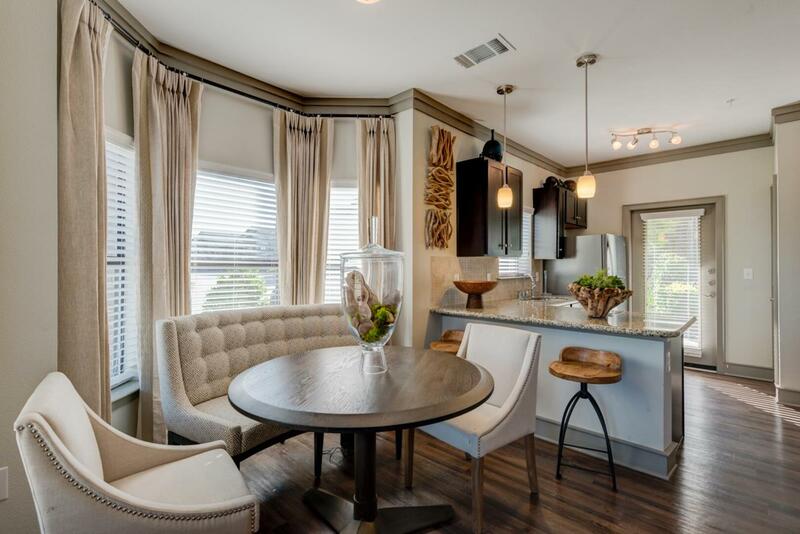 Dining: The combined living and dining area in select models includes a nook with bay windows. 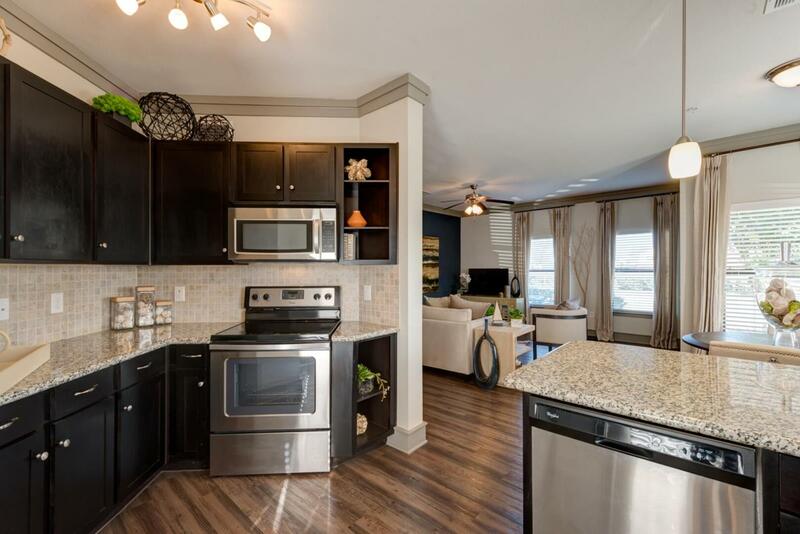 Kitchen: You’ll love the uniquely contemporary interplay of the speckled granite counters, stainless steel appliances and deep-hued cabinetry in the kitchen. 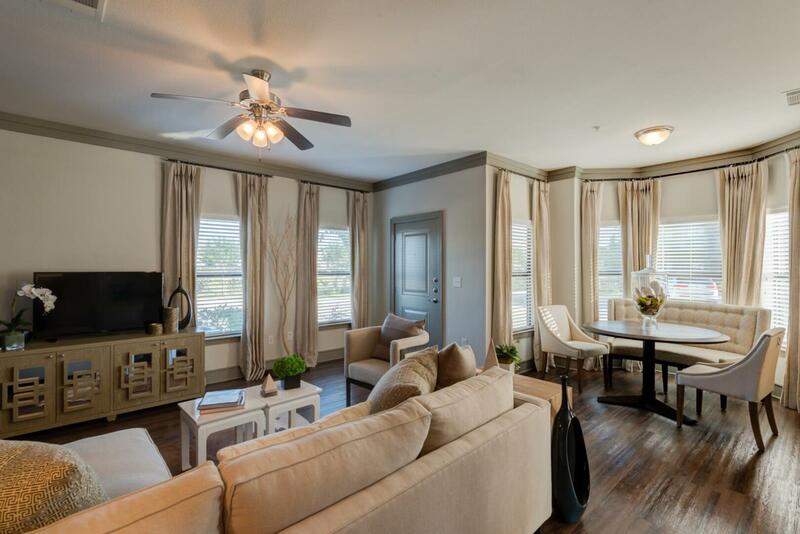 Living Room: Make yourself at home in a comfortable living area with crown molding, hardwood flooring and stylish accent walls. 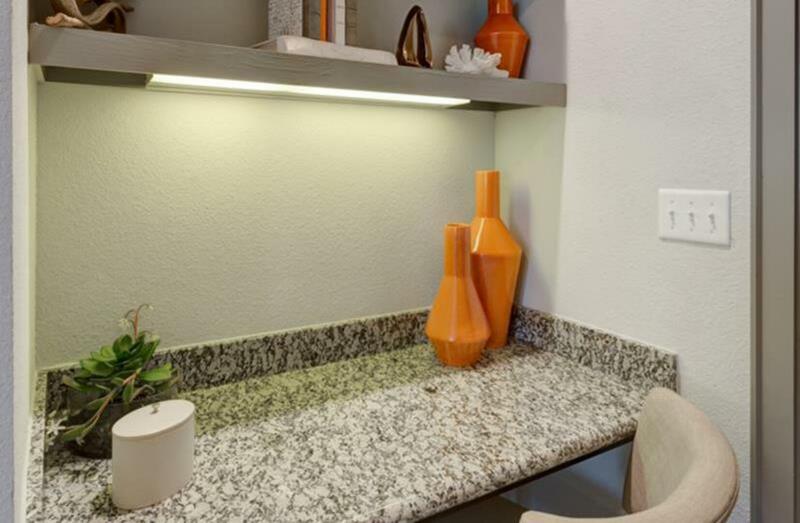 Laundry: Every home comes outfitted with a full-size washer and dryer set, and select models have a built-in desk nook as well. You’ve seen the pictures; now take the tour. 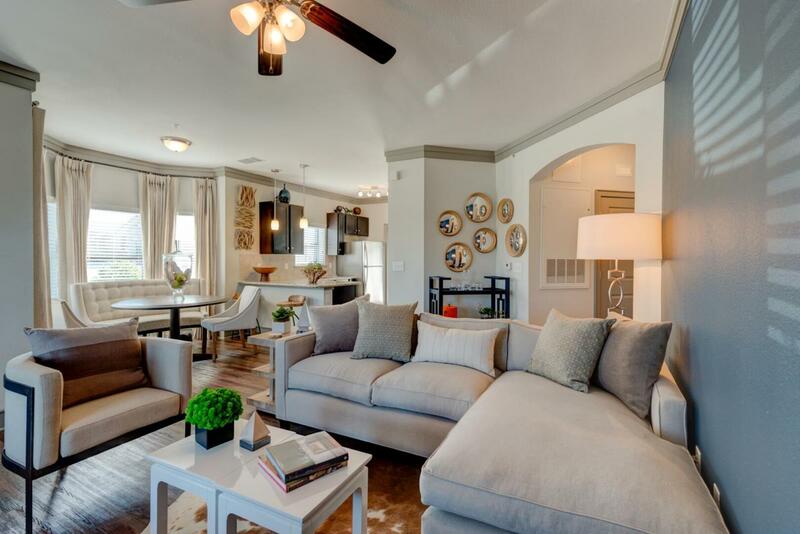 Contact a community representative today and take the next step to finding your home at Sorrel Grand Parkway.